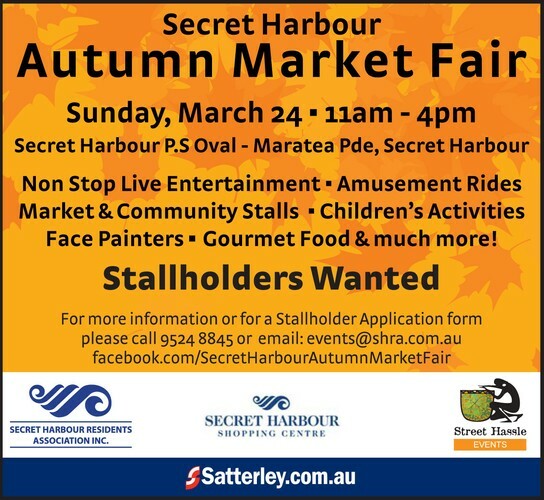 The Autumn Market Fair is an annual fair in Secret Harbour that attracts over 4,500 patrons each year. The event itself features a variety of Market Stalls, Community Stalls, Children's Activities, Amusement Rides, Non Stop Entertainment by local performers, face painting, gourmet food and more. Stallholders are welcome to contact us to apply to have a stall. For more information call 9524 8845 or email: events@shra.com.au.